Welcome to our online pheromones shop! 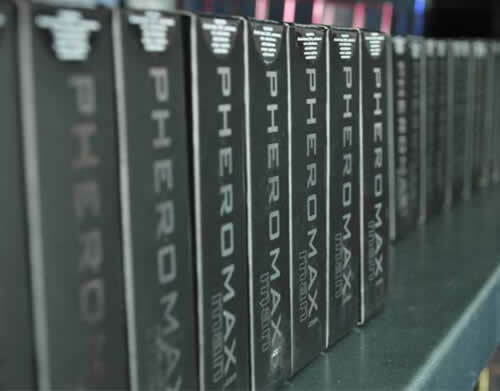 Our company operates the pheromones trading in Germany since 2000 (www.pheromone.de). Other countries followed over the years (www.pheromone.at , www.pheromone.ch , www.pheromone.li, www.pheromones.co.uk). We are based in Germany and not hide behind mailbox addresses abroad. In our shop you will find about 60 pheromone perfumes, which are the most available. A wide range of international suppliers, buying in larger quantities and cost efficient operation enables us to offer pheromone perfume at the lowest price. Our customers appreciate not only good prices, but also our professional customer service. We are convinced that our success is founded in the trust and satisfaction of our customers. That is why we place great emphasis on professionalism and courtesy in when contacting our customers. The lasting satisfaction of our customers is more important than a quick profit. www.Pheromone.de is certified by Trusted Shops. Trusted Shops is the leading seal of approval for online shopping portals in Europe and the buyer of protection for consumers. Our Trusted Shops certification means 100% security for you when purchasing perfumes. We send the pheromones safely and discreetly. We use generic packaging without any reference to the contents of the shipment. No one can see from the outside what is included in the package! We hope you enjoy shopping in our online shop!